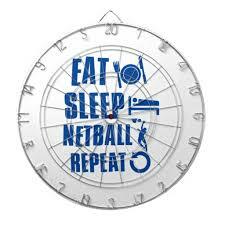 This morning I delivered some short sports nutrition talks to netball juniors for the Edinburgh Netball Association. It is great to see coaches focusing on different aspects of the game and giving the kids the opportunity to learn about nutrition for their sport. Netball, like many team sports, is intermittent and high-intensity and care should be paid to ensure that energy levels are maintained throughout the 60 minute match. A lot of strain is put on muscles during a match due to the stopping and starting, spinning and frequent changes of pace. It is therefore important to ensure that players are taking in adequate nutrients to allow the repair and recovery of muscles. The aim is to keep energy levels consistent and to top up with the right things when necessary. In addition, it is important to eat to aid recovery and stay hydrated throughout the match. These may seem obvious to most but children in school sports don’t always get this information and may even hinder their performance by what they chose to eat. You can always contact me by email if you have a group that you think would benefit from a bit of sports nutrition info or even just some advice on healthy eating. Posted in Sports Nutrition and tagged energy, junior, netball, nutrition, recovery, sport, sports nutrition, team sports.